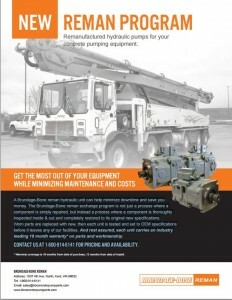 A BB Concrete Pump Parts remanufactured hydraulic unit can help minimize downtime and save you money. 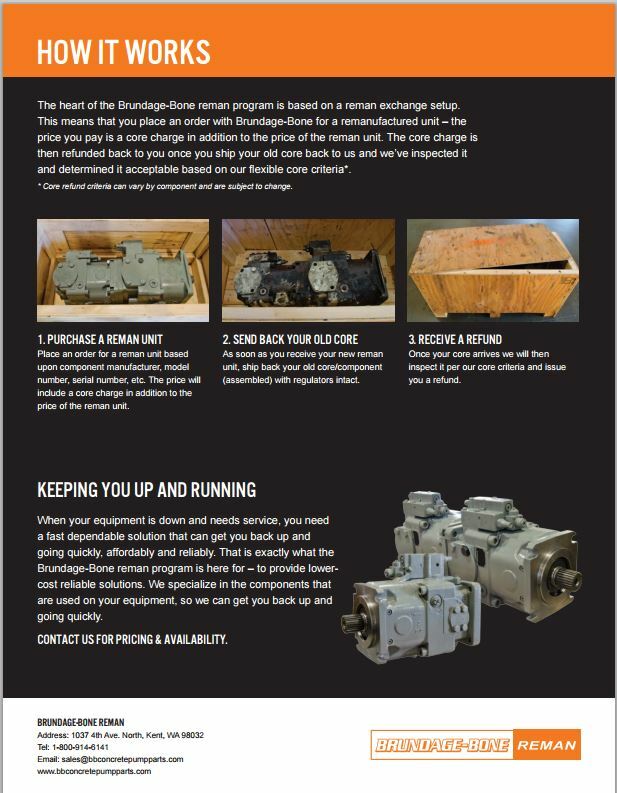 The BB Concrete Pump Parts remanufactured exchange program is not just a process where a component is simply repaired, but instead a process where a component is thoroughly inspected inside & out and completely restored to its original new specifications. Worn parts are replaced with new, then each unit is tested and set to OEM specifications before it leaves any of our facilities. 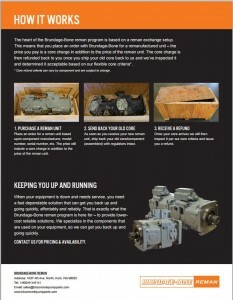 And rest assured, each unit carries an industry leading 18 month warranty* on parts and workmanship. 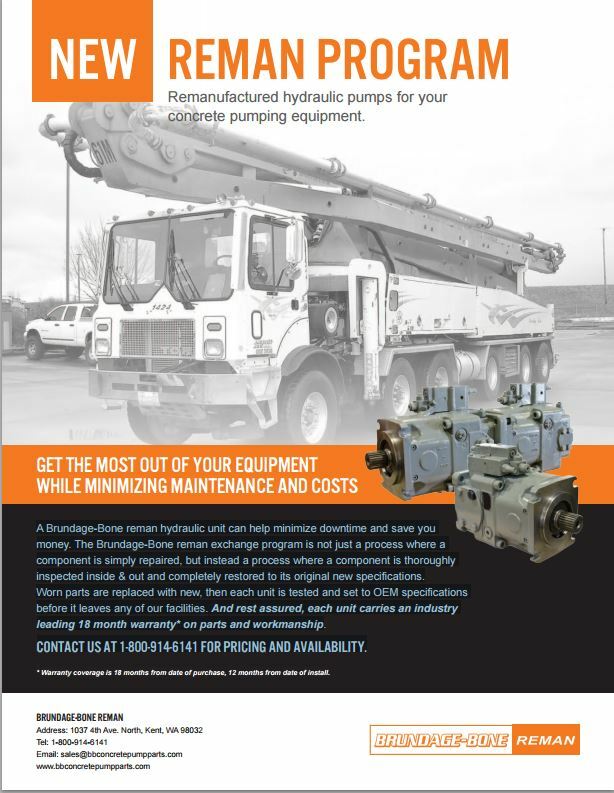 Contact us at 1-800-914-6141 for pricing and availability.